UK Premiere of Violet Evergarden at MCM London Comic Con. Screening of first episode this week weekend ahead of its broadcast in 2018. We’re just days away from MCM London Comic Con and we’ve got special news to share with you that’s hot off the press, so to speak. 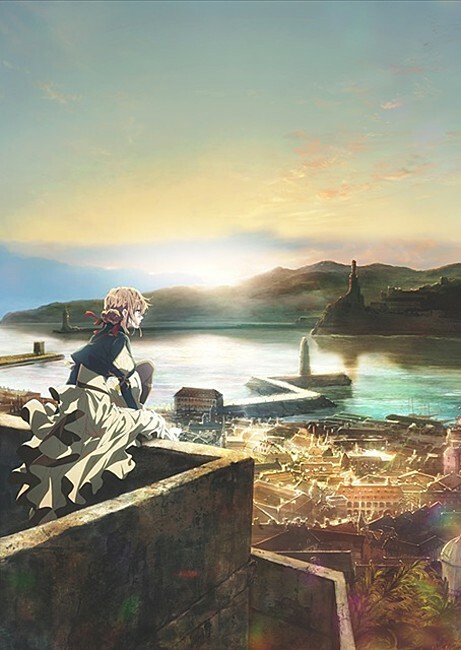 Today we’re delighted to announce that this Saturday at the event there will be a UK Premiere screening of the first episode of the upcoming anime series from Kyoto Animation, Violet Evergarden. The series doesn’t start airing until early year and you’ll be able to watch it on Netflix in 2018, but you can catch the UK Premiere of the first episode in the Platinum Theatre at 1:30PM on Saturday, 28th October at MCM London Comic Con this weekend! Please note the screening will be in Japanese with English subtitles. If you’re at the event this weekend don’t miss your chance to be part of this unique opportunity! Worth noting, and likely to confirm what some suspect given this news, that we (Anime Limited / All The Anime) can confirm that we have acquired the home video rights to this series. But we want to stress that given the series has not started airing in Japan yet – and won’t be until early next year – so more than likely don’t expect to hear any news about our release until late 2018 at the absolute earliest. We also want to make note of the fact this screening is not part of the current “World Tour” for the series; this is only a screening of the first episode specifically and no guests will be present. For information on MCM London Comic Con visit their site HERE. For more details on our activity throughout the event see THIS PAGE HERE.